On the 12th (Tue), delve into the distant past at Pukara de Quitor, then explore the striking landscape at Valle de la Luna - Valle de la Muerte, then browse the eclectic array of goods at Feria Artesanal San Pedro de Atacama, and finally take in the natural beauty of Geyser del Tatio. On the 13th (Wed), you'll have a packed day of sightseeing: look for all kinds of wild species at Salar de Tara and then witness a stunning natural landmark at Atacama Desert. For ratings, maps, traveler tips, and tourist information, you can read our San Pedro de Atacama route maker website . Sao Paulo, Brazil to San Pedro de Atacama is an approximately 12.5-hour combination of bus, flight, and shuttle. You can also do a combination of bus and flight; or drive. The time zone difference when traveling from Sao Paulo to San Pedro de Atacama is minus 1 hour. When traveling from Sao Paulo in March, plan for little chillier days and much colder nights in San Pedro de Atacama: temperatures range from 28°C by day to 7°C at night. Wrap up your sightseeing on the 13th (Wed) early enough to travel to Hanga Roa. 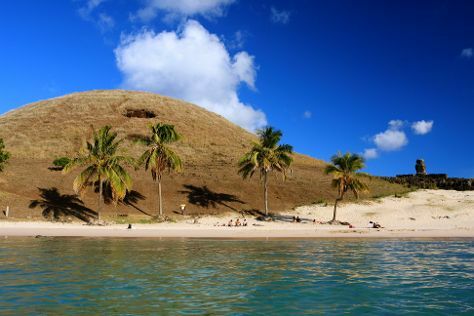 On the 14th (Thu), kick back and relax at Playa Ovahe, enjoy the sand and surf at Anakena Beach, and then steep yourself in history at Ahu Tahai. On the next day, take in the dramatic natural features at Orongo, make a trip to Ahu Tongariki, and then contemplate the geological forces at Rano Raraku. To find maps, where to stay, more things to do, and tourist information, go to the Hanga Roa trip planning app . You can do a combination of shuttle and flight from San Pedro de Atacama to Hanga Roa in 12 hours. You'll gain 2 hours traveling from San Pedro de Atacama to Hanga Roa due to the time zone difference. 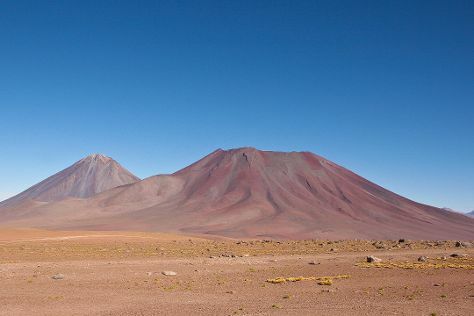 Traveling from San Pedro de Atacama in March, expect much warmer with lows of 23°C in Hanga Roa. Finish up your sightseeing early on the 15th (Fri) so you can travel to Santa Cruz. Start off your visit on the 16th (Sat): learn about winemaking at MontGras, do a tasting at Viu Manent Winery, and then learn about winemaking at Clos Apalta Lapostolle. 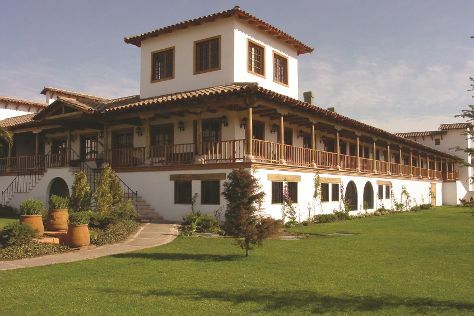 Get ready for a full day of sightseeing on the next day: see the interesting displays at Museo El Huique, then learn about winemaking at Vina Montes, and then examine the collection at Colchagua Museum. To see more things to do, ratings, reviews, and tourist information, you can read our Santa Cruz road trip site . Traveling by combination of flight, train, and bus from Hanga Roa to Santa Cruz takes 11.5 hours. You'll lose 2 hours traveling from Hanga Roa to Santa Cruz due to the time zone difference. Traveling from Hanga Roa in March, plan for little chillier nights in Santa Cruz, with lows around 11°C. Finish up your sightseeing early on the 17th (Sun) so you can go by car to Santiago. La Chascona and Museo Chileno de Arte Precolombino will appeal to museum buffs. Give yourself a bit of retail therapy at Costanera Center and Central Market (Mercado Central). Change things up with a short trip to Concha y Toro in Pirque (about 38 minutes away). There's much more to do: get great views at San Cristóbal Hill, view the masterpieces at E.N.D. Espacio Nacional de Diseno, see the interesting displays at Museo de la Memoria y los Derechos Humanos, and don't miss a visit to Cerro Santa Lucia. To see photos, where to stay, reviews, and other tourist information, you can read our Santiago trip builder tool . You can drive from Santa Cruz to Santiago in 2 hours. Other options are to do a combination of bus and train; or take a bus. Finish your sightseeing early on the 21st (Thu) so you can travel back home.